Dylan Bugden graduated from OSU with a Master of Public Policy in 2014. 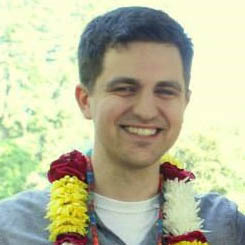 He is currently a PhD student at Cornell University in the Department of Natural Resources. His research and teaching interests center on the social dimensions of energy use and development. Much of his work has examined factors shaping support for and opposition to shale oil and gas development, otherwise known as “fracking.” He is currently leading a project that examines landowner experiences with the oil and gas leasing process. His dissertation will use theories from social psychology to develop a deeper understanding of how wind energy is perceived by nearby residents and using that understanding to develop more effective communication strategies to increase public support. Dylan enjoys spending his free time with his wife Mariana and his dog Dora, as well as Saturday afternoons in the fall watching college football.